Thank you for joining us for the 10xTalk podcast. 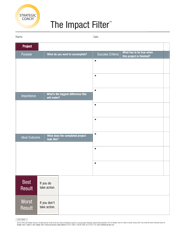 To download a copy of The Impact Filter tool, please complete the form below. TM & © 2015. The Strategic Coach Inc. All rights reserved.